We've now got to the point where Windows 10 'Redstone 2', a.k.a. 'The Creators Update', is feature-locked, meaning that it's time to assess what's new and different from the 'Anniversary Update' (Redstone). And there's quite a bit - here's AAWP's breakdown. 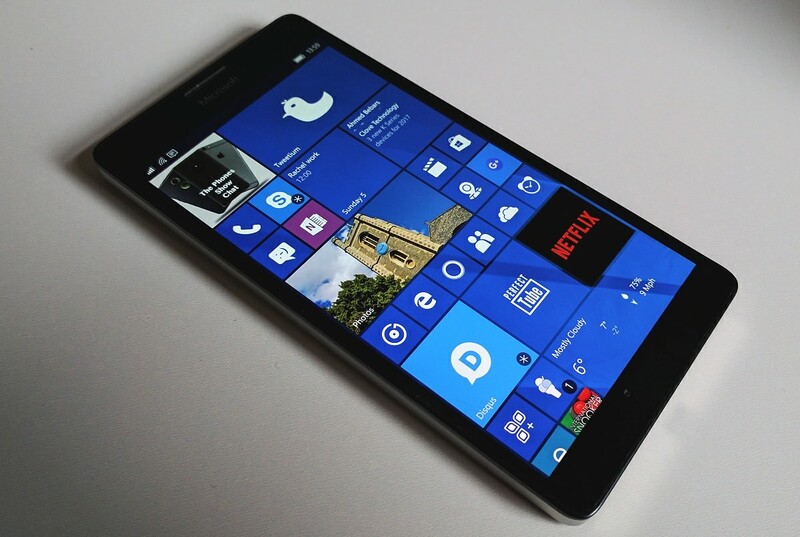 This OS release is due to hit production phones on Windows 10 Mobile in about two months time. Of course, for many AAWP readers, especially those on the Fast Insiders ring, most of the improvements below have arrived gradually - but I'd been promising a semi-definitive Redstone-to-Redstone-2 changelog for ages and now's the time to deliver. The information here is curated from a myriad sources over the last six months. Don't take everything here as gospel truth, since we're still a couple of months away, but I think we're nearly there in terms of new features and enhancements - the SDK itself is now locked, limiting what else Microsoft can add in. It's surely just a case of more bug fixing from here on in? Faster operation on the same hardware, thanks to kernel optimisations - in my tests (e.g. here) I saw a general boost of 20%, which is significant and noticeable day to day. This is on devices with 2GB or more of RAM - I can't vouch for performance on 1GB devices at this point. with new architecture to prevent problems from one unresponsive tab or page. should include 'Microsoft Wallet' support (needs page support). includes EPUB ebook purchasing and reading (in the same way that Edge already handled PDF files in the Anniversary Update) - this also works with side-loaded EPUB and PDF files, e.g. on SD card or on OneDrive. can now read aloud your EPUB ebooks, with the current line highlighted as it goes. now displays full-color, updated emoji by default on websites that use emoji. text scaling and zoom re-implemented - you can now zoom into a web page regardless of zoom settings defined by the website, matching other mobile browsers. Pages are now zoomable to at least 500%. Apps for web sites: Clicking links to websites that support web-to-app linking will now open that page in the respective app (AAWP Universal supports this, in theory - I'll come back to this in a future post). Many Settings hierarchy changes - sections affected include Wi-fi, Apps (new), 'Bluetooth or other devices', and 'Update & security'. Settings pages now contain additional information on the right or bottom (depending on the window size) providing links to support, feedback, and any other related settings (if available). Camera improvements. Windows 10 Camera for this OS release is faster to start up and has UI tweaks to streamline operation. Alarms sent by 3rd party alarm apps will now break through Cortana's Quiet Hours. You can now reset an application back to its original state. So if you have a UWP app in a bad state, just open Settings > System > Storage, and navigate to the app. Under 'advanced settings' you'll now see a 'Reset' option. Tapping it will clear the app's cache, and reset the app as if it had just been installed (without actually having to reinstall it). You can now specify more recurrence options for Cortana Reminders, e.g. "Every Month" or "Every Year". There's a new mono audio option in Ease of Access setting, making sure that stereo output can still be heard in situations where only one earbud is being used. Many Continuum improvements in terms of stability and remembering application status (though we'll have to wait until Redstone 3 for a proper 'multi-window' desktop interface when connected. (Rolling out worldwide, starting in the USA) You can now use Cortana to control music playback on more of your favorite music apps, with natural language compatibility for iHeartRadio and TuneIn Radio. While you are listening to music, you can use your voice to control playback and volume. With radio stations, you can say "What's Playing?" Sync your settings using Azure Active Directory (AAD) Identity. Enterprise users can now sync passwords, Wi-Fi profiles, Edge Favorites, Edge Reading List, and app data across desktop and mobile devices on AA-Joined phones using Enterprise State Roaming. You can also now sign in to Cortana using your AAD identity, i.e. with your work or school account instead of your Microsoft Account. Just go to Cortana's Notebook and "About Me" and sign in. You'll get the full Cortana experience with most of the same features. Improved legibility for UWP apps when your phone is set to 'High contrast' mode in 'Ease of Access'. New Bluetooth APIs that enable GATT Server, Bluetooth LE Peripheral role and unpaired Bluetooth LE device connectivity - all of these help compatibility with fitness aids, smartwatches and Internet-of-things gadgets. There's a new 'View 3D' application, mirroring the Paint 3D application included for Windows 10 Desktop - this lets users view/spin 3D graphics embedded in (e.g. Office) documents or on the web in Edge. For enterprise users only, there's a new option to pause Windows 10 Mobile updates for up to 35 days. The bullet points above are in order of importance, the big two being the overarching performance improvements and the big new version of the Edge browser - more and more is now being asked of this, not least because many niche/boutique apps aren't available for Windows 10 and so any interaction with many banks/shops/services has to be within the browser (in fairness, this is already default behaviour for many on the desktop/laptop, but it's going to become more common on mobile). It's something of a cliché to say that this is the version of Windows 10 (Mobile) that should have launched in 2015, since that sort of thing is always said in hindsight, but in some ways it's true here. Almost all the 'holes' in Windows 10 Mobile are now filled in, the UWP applications are feature packed and mature, there are precious few bugs left that impact day to day use, and - just as it has become hard to actually buy a Windows 10 Mobile phone - the OS is finally ready for the prime time. Ironically. Which means that the changelog above will be of initial use only to the seven or so million users of the OS across the world - though hopefully future devices and initiatives from Microsoft and others will bring new life to the platform (Windows 10 Mobile already is 'Windows on ARM', but a fuller implementation with Win32 emulation thrown in should debut within a year). Anyone with an existing phone that's officially deemed Windows 10 Mobile compatible by Microsoft can join in the fun. The full list of phones includes Lumia 430, 435, 532, 535, 540, 635 (1GB RAM version), 640, 640 XL, 730/735, 830, 930, 1520, Icon, BLU Win HD w510u, BLU Win HD LTE x150q, and the MCJ Madosma Q501. Plus, of course, all the devices which have shipped with Windows 10 Mobile in the last year, of which the Lumia 550, 650, 950, 950 XL, Acer Jade Primo and HP Elite X3 are the highest profile. Upgrade to Windows 10 Mobile (if appropriate) using the Upgrade Advisor. Within a few hours your phone should be seeing the build mentioned above and you'll be running next year's mobile OS today. Fun, fun, fun....!